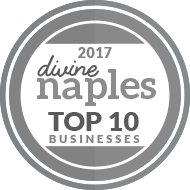 Whether you are planning a formal dinner, theater visit, or simply night out at a bar or restaurant in Naples area, let us do the driving. Forget about the hustle to find a parking space or be afraid to enjoy an alcoholic beverage with your friends. Choose the nightlife transportation services of our luxury Limo sedans and SUV’s which are at your disposal 7 nights a week. The chauffeurs at Fifth Avenue Transportation are highly trained and have excellent knowledge of the Naples/Marco Island area which guarantees on time and worry free travel to your late night destination.